News that the Baird government is about to launch a major overhaul of environmental planning rules that will make miners more accountable to mining communities and the environment is welcome news. The question is: will the overhaul of the flawed environmental planning rules that affect major coal mines be in any way effective by addressing health and process, or will they be used to delay a transition from coal and an inevitable moratorium on new coal mines? Perhaps Baird has never had an expert independent scientific, medical and diplomatic briefing on the coal industry in his state. He needs to grasp the harm to Australia’s climate pledge by the intent of his government to expand the coal industry in NSW, and coal’s impact on the health of Australians and world citizens, especially our neighbours in the Pacific Island nations. Last week Doctors for the Environment Australia made a submission opposing the development of a new open cut coal mine near Gloucester in the Hunter Valley. It is the latest in a very long list of submissions by this medical organisation, raising grave concerns regarding the health impact of coal. The Premier may have the impression that antagonism to coal mines arises from a rabid green, environmental perspective and is an issue which can be solved by anti-protest laws. But this is a vital health issue which causes preventable human suffering in Australia and many other countries. The World Bank says worsening climate change will plunge tens of millions of city dwellers into poverty in the next 15 years, threatening to undo decades of development efforts. The World Bank has stopped funding new coal mines. A study on the Hunter region from Sydney University confirms that there are serious health and social harms associated with coal mining and coal-fired power stations for people living in surrounding communities. Revenue is earned now but the debt comes later: the social disruption of relocating historic communities such as Bulga, the degradation of food-producing land, health impacts. It is easy to overlook those suffering heart and lung disease from coal combustion and open cut mining perhaps, but the latest occurrence of black lung disease in an open cut coal miner from Queensland reminds us that coal is a serious potential health hazard not only to surface workers but to nearby communities. The inhabitants of Gloucester are even closer to the current Rocky Hill mine proposal than Warkworth village, Maison Dieu, Jerrys Plain, Bulga and Singleton are to their local coal mines. These towns have already been identified as the most at risk from poor air quality in the Upper Hunter, where air monitoring shows regular exceedances of the inadequate air-quality standards. The majority of countries committed to climate change action are increasingly anxious about Australia’s inaction and sleight of hand in saying it is fulfilling its meagre 2020 carbon commitments. Australia’s emissions continue to rise and few scientists or analysts believe that Direct Action and the Emissions Reduction Fund – will meet national targets for 2030. When the dam of national and international anger bursts, it will be the task of NSW and other coal-fostering states to respond by cessation of coal mining – with great distress to coal communities. It is in the interests of the coal miners’ own health and sustainable development to commence a transition now. The federal government is paralysed when it comes to effective action on climate change. The federal opposition, through supporting a Senate inquiry on the phase out of coal power stations, is compromised in its climate concerns by support for the huge Carmichael mine. But some states are increasingly acting on climate change in the interests of their state and the nation’s need, regardless of federal inaction. The medical profession is distressed by the preventable human suffering resulting from the pollution released by all steps in the mining, transport, and combustion of coal. Highly credible economic studies indicate that the profit from coal mines, confer an equal cost legacy for ill health, social disruption and rehabilitation. Rejecting the Rocky Hill proposal and all other new coal mines is an opportunity to demonstrate leadership. You will achieve benefits for communities for better health and make it clear you are aware of the hazards of inadequate action on climate change. As a wealthy state in an affluent country, your need to export coal for revenue shows lack of vision in creating alternative jobs and industries and in participating in the inevitable transition to renewable energy. Surely it doesn’t need a Four Corners program showing Hunter residents ill and dying from preventable disease, to persuade you? 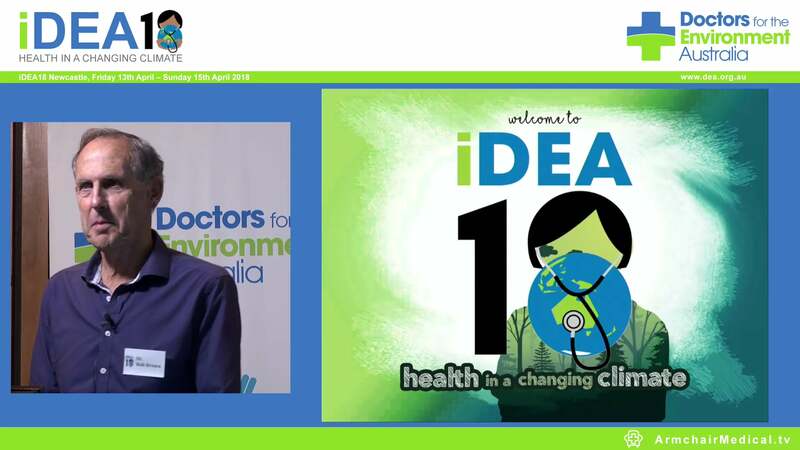 Dr David Shearman is secretary of Doctors for the Environment Australia and emeritus professor of medicine at University of Adelaide.